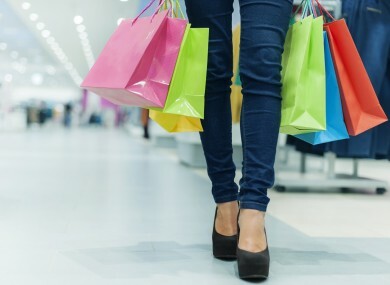 IRISH CONSUMERS ARE feeling “upbeat”, according to a consumer sentiment index released today. The KBC Bank/ESRI Consumer Sentiment index showed that Ireland was at its best level since May 2007. The January sales are seen as the big boost for the month as Ireland’s consumer sentiment rose to 84.6 per cent in January from 79.8 per cent in December. However, the report was quick to point out that “it would not be correct to suggest that conditions for Irish consumers are now back to normal”, instead it’s believed that “consumers are gradually recovering from the extreme difficulties of recent years”. Ireland’s consumer sentiment in January mirrored those in the US, the UK and the Euro area. The report showed that over the past year, views in relation to the trend in household finances “worsened mildly”, however expectations for family finances over the next year “improved marginally”. This was explained as “consumers are sensing some positive developments that may eventually impact on their personal finances but the persistence of clear negative balances argue that worries about spending power continue to dominate thinking on this issue”. Just over half of those questioned feel the Irish economy will improve in the coming year, showing a “marked change” compared with concern expressed through recent years. There was a further improvement in thinking on the jobs market last month. However, the positive statements at the end of 2013 from the IDA and Enterprise Ireland are seen as possible reasons for this. New job opportunities and a drop in the live register were reported on at that time. The report states that “the step-up in spending plans signalled in the January sentiment survey may exaggerate the likely degree of growth in this area”. There could be a significant retracement of last month’s gains in the February survey. Email “Consumers 'gradually recovering from the extreme difficulties'”. Feedback on “Consumers 'gradually recovering from the extreme difficulties'”.